In addition to stress and diet, environmental factors affect the health of our skin. For me, there’s nothing like the change in seasons that makes my combination-oily skin more reactive. Think dry patches, flakiness and general discomfort. Enter S.W. Basics of Brooklyn’s Cream. You know, the one that’s made with just three incredibly moisturizing and thoughtful ingredients. S.W. Basics’ Cream combines wild-harvested, Fair Trade shea butter with organic, extra virgin coconut oil and organic, extra virgin olive oil to create an extremely rich cream that’s wonderful for face and body. Though we all know and love these three ingredients, it’s smart to remind you how lovely they are combined together. The shea butter promotes skin elasticity and is the driving force behind the intense moisture. I love, love, love shea butter. Extra virgin olive oil adds another layer of moisture as well as antioxidants that protect the skin from damage. Extra virgin coconut oil, which I know some of you have reactive issues with (I don’t), adds a third dimension of extreme moisture and protection thanks to antioxidants and its rich, natural texture. Besides how these ingredients work to keep your skin soft, let’s talk about scent. Pure shea butter is extremely comforting to me and is the dominating scent in this blend. I don’t detect much coconut oil scent in this cream at all — just that nutty shea scent that I personally find very soothing. I can get a small whiff of olive oil, which works so well with the scent of shea. This isn’t an overly scented cream at all — just the natural nuttiness of shea butter! The texture of S.W. 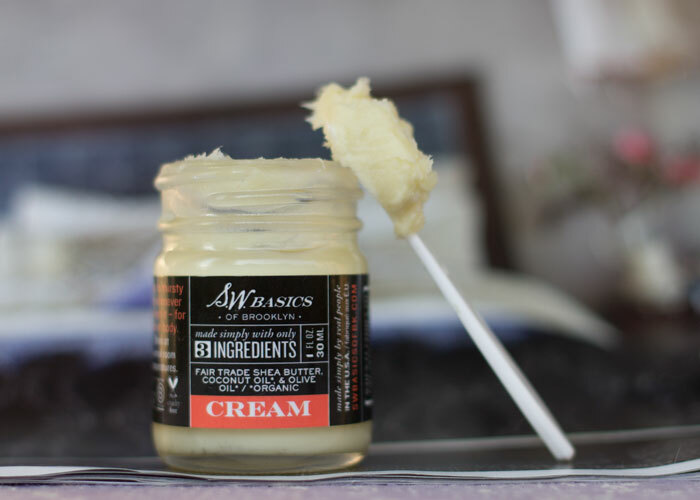 Basics’ Cream is thick, but with the warmth of your hands and fingers, it melts beautifully, giving you an oil-like consistency that’s easy to spread. I like to use my S.W. Basics Cream on my cheeks and the random dry spots my skin experiences around my nose. It takes a dime-sized dollop to cover the entire area with a protective, nourishing coat of moisture. In the winter, if I need additional moisture, I’ll top the cream with a light layer of a straight carrier oil (jojoba, argan or marula are great choices). This helps seal everything in and basically guarantees a plump complexion in the morning. S.W. 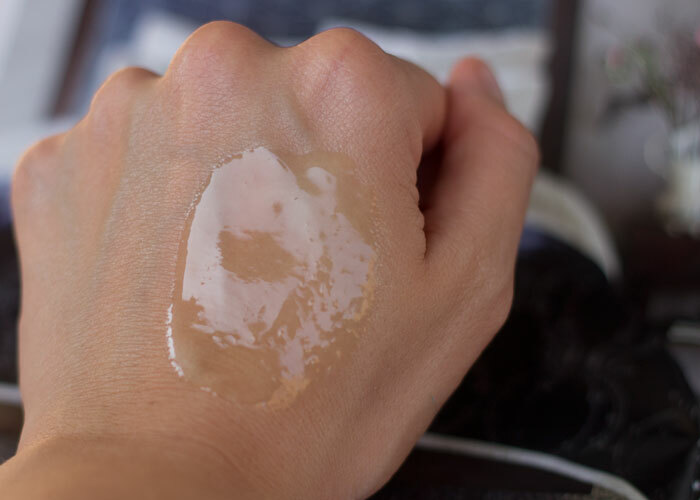 Basics Cream is also my go-to cream for bringing my skin back into balance after product testing gone wrong. I know I can always rely on S.W. Basics for simple, effective, healthy skincare that my skin agrees with no matter what. That’s a pretty reliable friend, eh? How does your skin react during transition weather? What are your favorite simple skincare products? Have you tried anything from S.W. Basics? Tell me in the comments section!